The EPM-010 features swept forward fins with outer navigational pods for interplanetary space travel. Its long slender design will reward you with straight, outta-site flights. 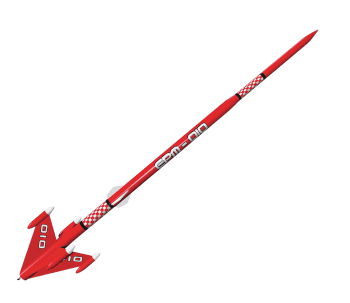 This hot looking rocket floats back to earth on a preassembled 12 inch parachute. Standard Engine powered, the EPM-010 soars over 900 feet!